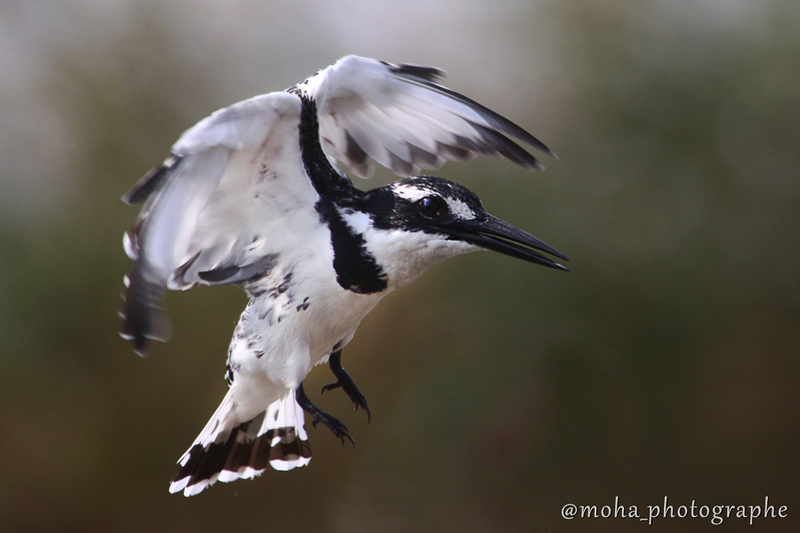 The female Pied Kingfisher that I found on 31 October was still at Sabkhat Al Fasl on 6 November 32015 where Mohammed Alruqaya took the below photographs. It can be identified as a female as it only has a single breast band whereas males have two bands, although the second lower band is very thin compared to the much thicker upper band. The nominate subspecies C. r. rudis that occurs from central and southern Turkey and Israel to Syria, Iraq and southwest Iran as well as northern Egypt, Nile Valley and sub-Saharan Africa is the subspecies present in Jubail. These are told by their distinctive medium-size and black and white plumage lacking any black spots on the flanks and side of the throat which is shown by the two other nearby subspecies that are also blacker in plumage tones. 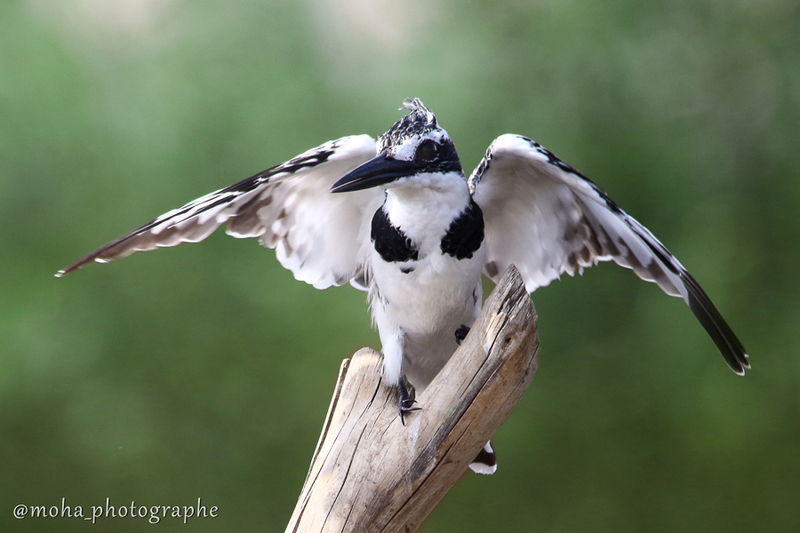 Pied Kingfishers generally use small and large lakes, large rivers, estuaries, coastal lagoons, mangroves and sandy and rocky coasts and require waterside perches such as trees, reeds, fences and posts. They eat predominantly fish and regularly hover particularly so in windy conditions. Birds fly low over the water with steady wing beats and then rise 2–10 metres in the air, with body held nearly vertical, bill held down and wings beating rapidly; they then dive down into the water and if successful swallow prey on the wing without beating on branch or something similar. Birds are generally sedentary. In non-breeding season, local movements can extend over several hundreds of kilometres and this is probably how birds enter the Eastern Province. 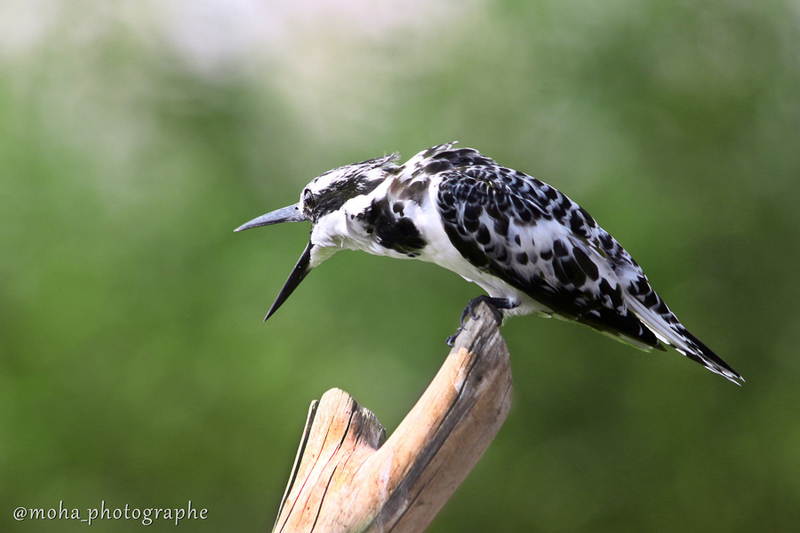 Most records from the Eastern Province have been females although a bird seen and photographed in Riyadh in recent years was a male. I hank Arnold for allowing me to use his photos on my website that remain his copyright.